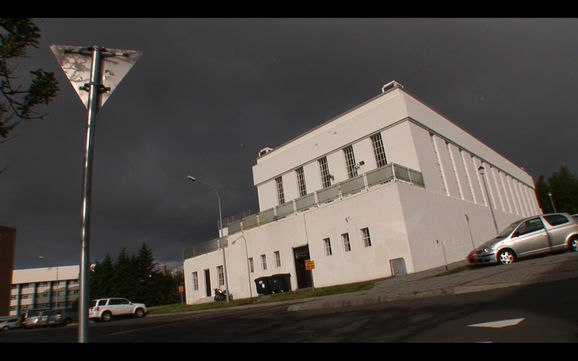 Sundhöll Reykjavíkur (The Reykjavík Swimming Palace), the city’s first swimming pool, was inaugurated in 1937. The building is an architectural landmark, which for decades has functioned as a cornerstone for the elderly that live in the neighbourhood, and other daily guests. The documentary captures the atmosphere of the building by focusing on the daily routine and the colourful characters that frequent the pool. It documents an era that is coming to an end and pays tribute to disappearing generations. The building’s designer, Gudjón Samúelsson, who was Iceland’s State architect, often sought inspiration for his work in the landscape that surrounded him, the Icelandic mountains and rock formations in particular. His other works include the National Theatre and Hallgrims Church, the most prominent building in Reykjavik. “The Palace”, as Icelanders refer to it, has outdoor hot tubs where regulars and newcomers gather to discuss politics and other matters of the day, after swimming a few lengths in the main pool. In the afternoon there are swimming lessons for school children and practice sessions for diving teams. With devoted regulars and a very low staff turnover the line between workers and customers is sometimes blurred. A group of daily guests are at the door sometime before the pool opens to share a cup of coffee with the staff and lend a helping hand. Their role is to make the first pot of coffee every morning while the staff prepare for the day. The staff know their guests routines and they notice when someone is absent, creating a sense of belonging and security. There are still a few guests who remember the day when the Palace was inaugurated, but soon there will be none. Sadly, as the regulars increase in age they are decreasing in numbers and competition from modern outdoor pools means the number of visitors in general is in decline. The making of this documentary was truly a race against time. The documentary’s main character is Kjartan, an 84-year-old man who lives alone across the street from the pool. Every morning at 6am Kjartan comes to swim, and chat to the other regulars. 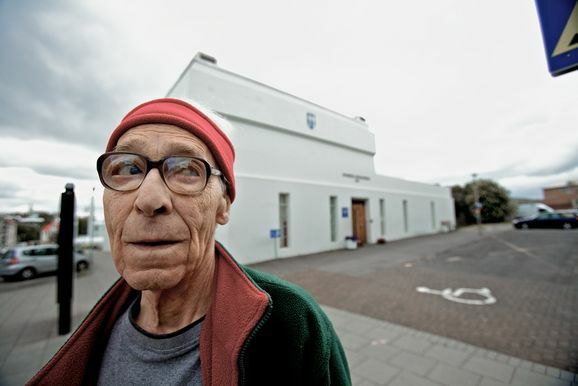 Almost blind and hard of hearing, Kjartan says that the swimming and the companionship he finds at the pool gets him out of bed in the morning and keeps him going. We also get to know Jóna and Kiddi who work at the Palace. Jóna’s dream is to retire and spend her days on a tropical beach holding a glass of red wine, and dancing salsa. Kiddi lives just around the corner. Although he has only worked at the pool for a couple of years he pictures himself still working there twenty years from now. He is fond of his job and finds pleasure in keeping the place neat and tidy and chatting with guests, although he finds some can be a bit moody. An ex-weightlifter, he likes to travel in his spare time. The film gives us a sense that time stands still inside the Palace, that it is a world within itself. It tells a story of tradition and repetition, evoking a sense of familiarity and intimacy. The building looks exactly the same as it did 73 years ago, and its soul and the air that it breathes remain the same. Although things changes outside the thick, concrete walls of the Palace, seasons come and go, an economy collapses and volcanoes erupt, everything inside remains reassuringly the same. Our storytellers, the staff and the guests, are the heart of the building, and the documentary is an ode to the pool and the people who have made it their sanctuary. It shows the daily routine in the Palace for four days, two days during summer and two days during winter, and the routine is almost identical. The viewer gets to know the people, their life stories, why they come to this pool and what it means to them. The story is driven by the characters we meet in our documentation of daily life in the Palace.